Start and end in Isla Santa Cruz! With the adventure tour Galápagos Multisport, you have a 8 day tour package taking you through Isla Santa Cruz, Ecuador and 2 other destinations in Ecuador. 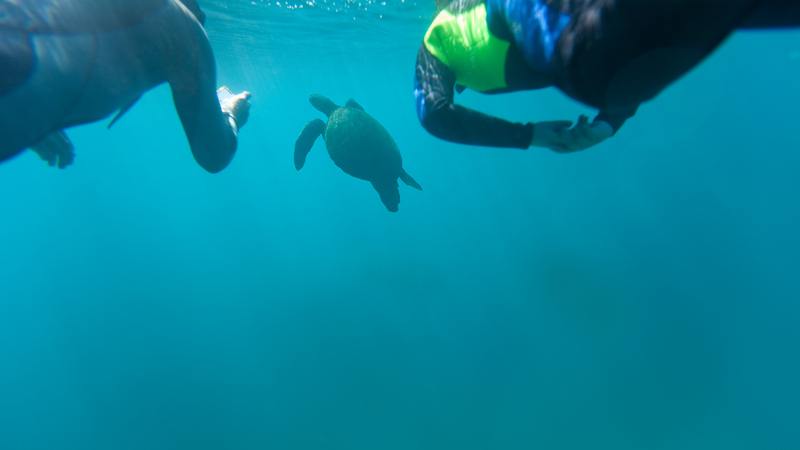 Galápagos Multisport is a small group tour that includes accommodation in a hotel as well as an expert guide, meals, transport and more. Excellent and knowledgeable staff CEO. Great tours, wonderful accommodations. We had a great group, many who traveled with G Adventures previously. I would definitely travel with G Adventures again and recommend them to my friends and family. G adventure makes the experience of vacationing so easy and streamlined. You guys take all the hard work out of figuring out what to do on vacation and not to mention you have a guide to show you the best spots to see and eat at. 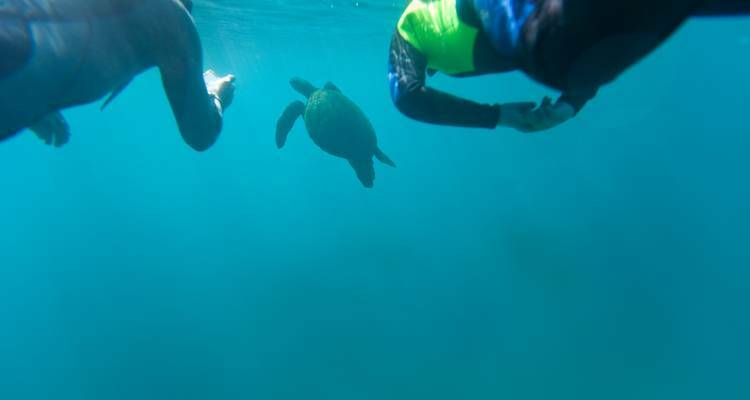 The Galapagos-adventure was amazing! Great tourleader, good and comfortable transport and accommodation, everything was very well organized. The program was full but it still felt as a relaxing holiday, with a lot of fun and exciting activities! Is it possible to go scuba diving on this trip? Scuba diving is not listed as one of the official included or optional activities on this tour, however your best option is to speak to your group leader on day 1 of the tour and they are able to make local recommendations about how you could facilitate this. Start and end in Isla Santa Cruz. TourRadar only requires a deposit of $99 to confirm this G Adventures booking. The remaining balance is then payable 65 days prior to the departure date. For any tour departing before 30 June 2019 the full payment of $2,079 is necessary. No additional cancellation fees! You can cancel the tour up to 65 days prior to the departure date and you will not need to pay the full amount of $2079 for Galápagos Multisport, but the deposit of $99 is non-refundable. But, the deposit is fully transferable to future bookings with G Adventures. Covering a total distance of approx 249 km.